between 12:30 a.m. and 5:30 a.m.
NO Trolley Owl Service (Friday evening into Saturday) between 3:00 a.m. and 5:30 a.m.
Service on Bus Routes 12, 43, 44, 48, and 61 will be suspended beginning Friday at 10:00 p.m. Please reference the tables below for Routes that are suspended Saturday, September 26 and Sunday, September 27 and for Routes operating modified or regular service. NO Trolley Owl Service Saturday and Sunday Evenings between 3:00 a.m. and 5:30 a.m. Regular service - some detours, especially in the vicinity of the Parkway may still be in place. 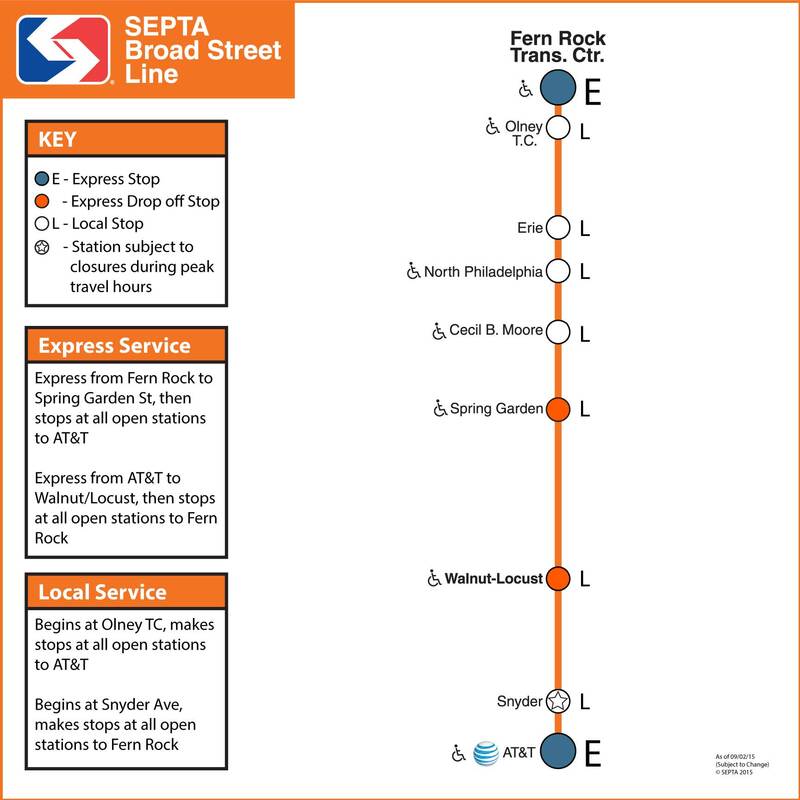 2nd St. or 8th St.
Trolley 15th (East and Westbound) 13th St.
NO Market Frankford/Broad Street Line Owl/Train Service (Friday evening into Saturday) between 12:30 a.m. and 5:30 a.m.
12:30 a.m. and 5:30 a.m.
12th St. entrances and via Filbert St.
NO Trolley OWL service Saturday and Sunday evenings, 3:00 a.m. - 5:30 a.m.
After 40th Street, the next and last stop will be 30th St.
Customers may transfer to the Market Frankford Line for continuing travel to Center City and 69th St. 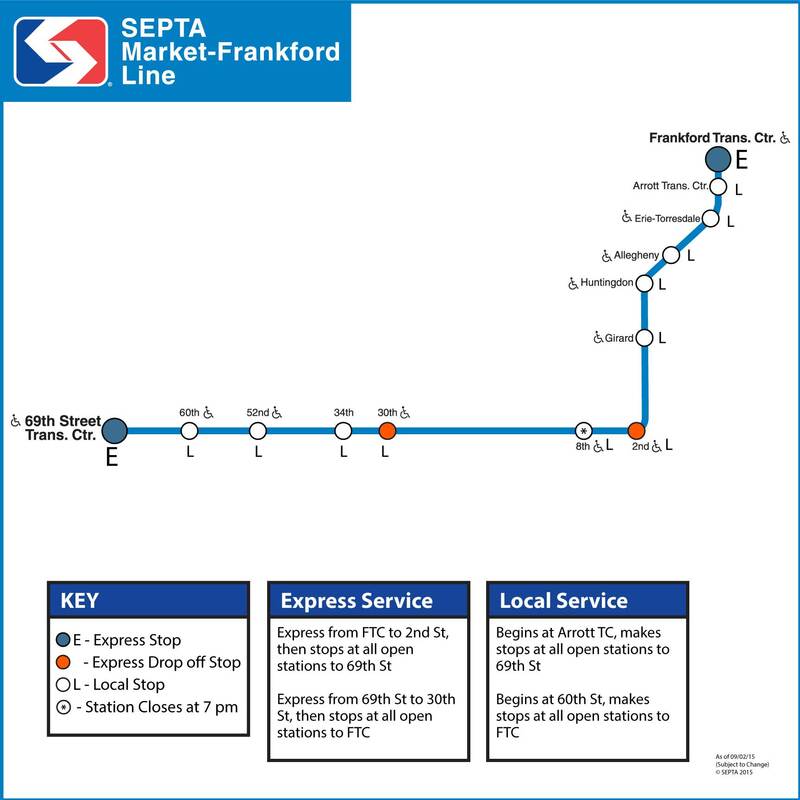 The Special 3 Day Transit Pass is now available at regular sales locations along the Market Frankford and Broad Street Lines, designated cashier's booths, and at Center City Regional Rail Stations. Check the Sales Location page to find the ticket and sales locations near you.